If you are into blogging since some time already, then I’m sure you already learned how to set up your gravatar. But there are always new users who still need to set up their own; hence, leaving comments without any image to identify their identity. In this article I’ll explain what is a gravatar and how you can get your own. Plus, I’ll give an advice on how to personalize blog commenters without a custom avatar, so you can either display your site logo. Gravatar stands for “Globally Recognized Avatar“. It’s an image that follows you around the internet, appearing each time you comment on a site and it’s bounded to a specific email. To differentiate from the avatar, a graphical representation with which a user wants to be identified as an image, a photo or a personal icon. In fact, the purpose of the avatar is just to allow users to be recognized every time they interact within any discussion forums, blogs and more. Generally to get an avatar you need to register to the website on which you decide to participate to the conversation. But blogging is evolving. Most of the sites, in fact, do not require the registration for commenting, with the aim to facilitate and speed up the engagement, opinions and interactions. To avoid commenting virtually as anonymous, you need to set up your gravatar. You can create a new account with your WordPress details or simply adding your email. You can upload it via your computer, from a URL, from past uploads or by taking a picture with your webcam. 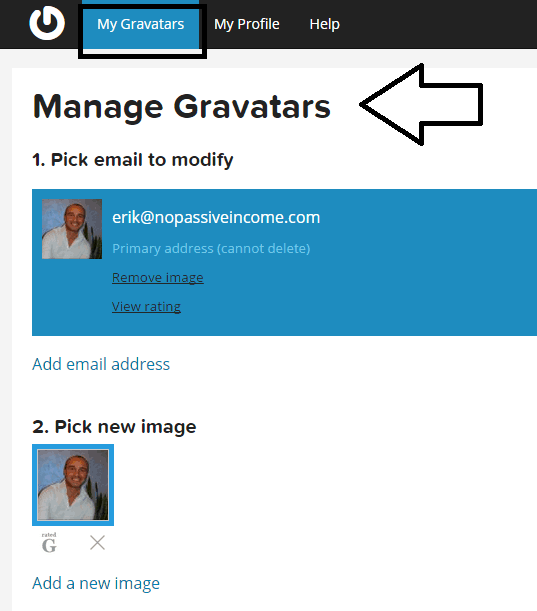 Now, everytime you comment around the internet with the email you registered to Gravatar, your favorite image will show up! What Are the Advantages of Having a Gravatar? If you need to be identified immediately, then I recommend you to create a gravatar right now! Especially if you have a small business, you are building a brand or you are a professional blogger, you should start thinking of creating one right away. With time, people will remember you (your gravatar) and intrigued by your comment activities around the internet, with all probabilities will come to visit your site. It’s a great opportunity to be recognized and be heard! Don’t repeat the mistake I made at beginning of my blogging journey. I was “afraid” of showing my face and I hid myself for 3 months behind my site logo. I lost opportunities to build connections and create relationships online, which is one of the most important things you need to do, if you are a marketer, a blogger or an internet professional. Within your WordPress dashboard, under “Settings”, click on “Discussion”. Here, among the other settings, you can choose which “default avatar” you want to display for those commenters who do not have a gravatar. But each of these “default gravatars” looks really ugly to my eyes. Plus, you will be like everyone else! 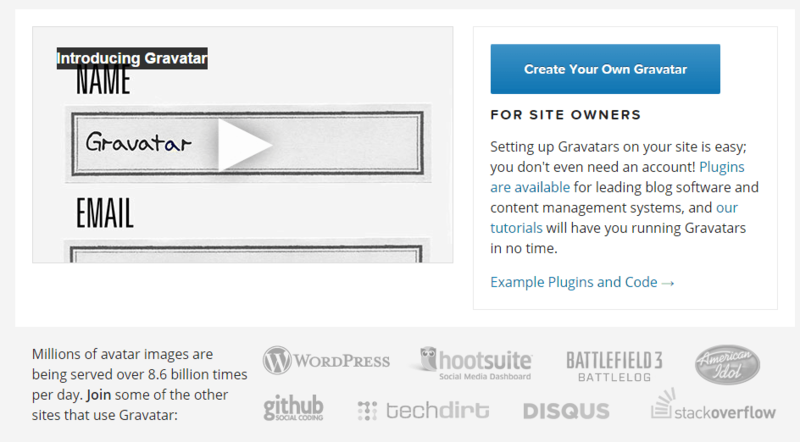 What if there would be a way to personalize that “default gravatar” with, for example, your site logo? With “Add New Default Avatar” plugin (free), you can easily achieve this. First, you need to add a new avatar (50×50 pixels), by indicating the path (I added this one). Then click on save changes, to get that new avatar under the “default” options, as indicated in the image above. Now you can get your logo displayed each time a commenter without a gravatar leaves his views on one of your blog posts. In this article, I showed you a strategy to achieve greater visibility online and increase your reputation. I also suggested a way to personalize the anonymous commenters at your blog, by adding your favorite logo to the people who are not using any gravatar. If you have any suggestions, questions or you simply want to show your gravatar, just leave a comment below. Thanks for sharing. Have a great beginning of this week! Yes, that plugin is awesome. It gives a touch of professionalism to your site. Hi Erik! I’ve done a few posts on Gravatar and still don’t understand what the hesitation is with some bloggers? Gravatar is a great feature and helps us get recognized! It’s very easy to set up as well, as you shown above. That’s a neat plugin but I wonder how safe/stable it is being that it hasn’t been updated in 3 years, according to your image. Passing this along in hopes to reach a few bloggers that definitely need a Gravatar! It’s an important step every new blogger or internet marketer should do, before jumping in the blogopshere. I did not have any issue until today with that plugin, it has been updated in 3 years, but this does not mean it’s not compatible with the latest versions of WordPress (today I just updated my sites to WordPress 4.3). Thanks for sharing and commenting, Brenda. 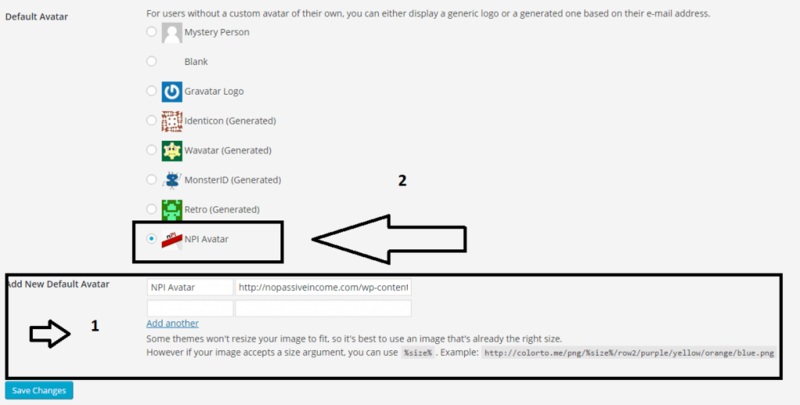 Setting up Gravatar image or profile could be hard task for some bloggers. Its a good thing you simple demystified the process for them. The steps are hands-on and it is revealing to utilize the default avatar plugin. Thanks for sharing this awesome quick guide! every new blogger should set it up right after creating a new site! Gravatar made it really easy to understand and to apply. And the plugin I mentioned is awesome, to personalize our blogs. I had some trouble sorting things out with Gravatar. This post makes the progress a lot more easy. 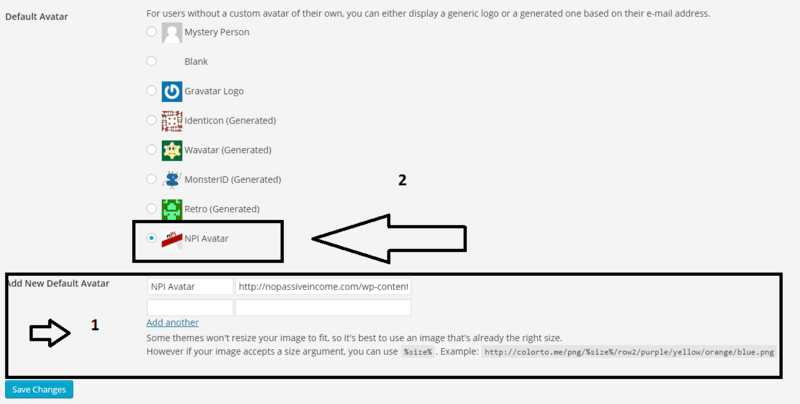 Also, an other nice takeaway in this post is add a new default gravatar plugin. Wasn’t aware of this plugin. Should check this out soon. Glad you found the information useful and yes, that plugin gave a professional touch to my blog. I’m visiting your site right away. Thanks for commenting, and have a good day, meantime! Gravatars are extremely important. I always prefer using gravatars. And, I recommend people to use them because it’s about recognition and personal branding. Do you agree with me? Definitely like my point of views, Hassaan! Thanks for leaving your comment and for visiting. 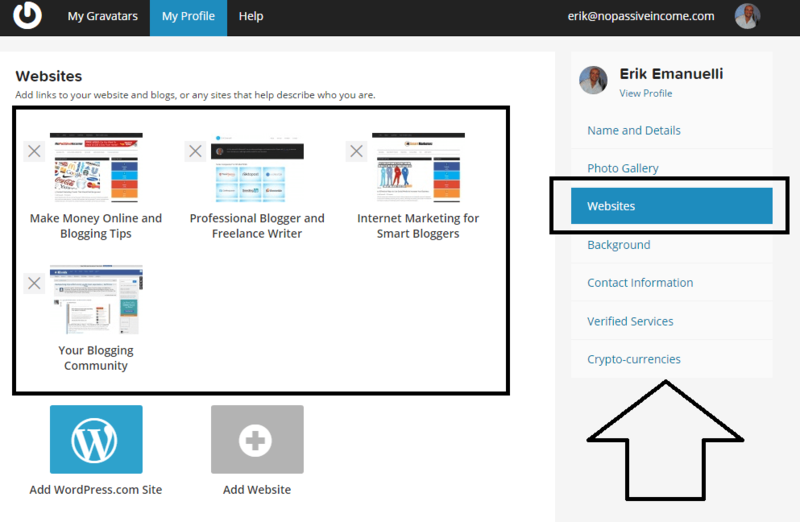 Hello Erik, I think setting up your gravatar is very important and did write a guest blog for a friend on this subject sometime ago . One thing I did not talk about though was how to add New Default plugin to get rid of those ugly default images. Sweet Idea, Now i have to come up with a logo. good to hear you like gravatar concept too. Good you discovered the plugin I mentioned, it’s very useful to personalize your blog. Thanks for commenting, have a great week! To build better relationships and connections, I am in support that one needs a Gravatar. It is strange that people would want to hide their identity and hope to make a difference. Love your tips and apt images. Thanks for sharing. Have a swell week. I guess new bloggers don’t want to hide their identity on purpose, but simply do not know how to set up their gravatar. Hope this article is going to help! Thanks for your support, Ikechi. Though I received the notification on time about this post, somehow due to my preoccupation I missed it. This is a must thing to do by every blogger. I say MUST! The reason is that we bloggers are commentators too! So when we comment on others post our identity should be revealed and for this our avatar picture is a must. These days since we are getting millions of spam comments in our inbox, to identify the real writer it is always comment with our real picture, there the need of gravatar arises. It will be so easy to identify the commentor and the blog owner can easily accept or approve their comments, otherwise even if your comment is a very constructive and relevant one it may not approve or it may not get the attention of the web or blog owner, sometimes it will lie there only in the spam folder, to avoid this this common error one need to have an avatar picture, there the need of gravatar comes in. Always it is good to present ourselves as ourselves!!! Of course, some people post someone else picture, or some quote or some pics like dog, cat or some famous personalities pics or some of their favorite things like trees, nature etc. as their avatar picture. Thanks Erik for this informative tuto on this very important subject. I am sure this will be a great help to many new bloggers. Some time back the famous Pro blogger Chery Schmidt wrote a wonderful Guest post on my page under the title; “ Adding Your Picture To WordPress Blog Comments Helps Brand You (A Guest Post by Chery Schmidt)” I am sure reading that post will surely add some value to this informative post. Thanks once again Erik for presenting such a useful post to your readers. You pointed a big issue, the SPAM in comments. The ones with gravatar is more likely to be accepted everywhere, right? Thanks for taking the time to read and leave your meaningful comment. I am very new to blogging and I have already registered at Gravatar and I found myself confused when I see myself in some posts and missing my gravatar in many posts.Your article has explained about each and everything and especially I have to give a try at that logo thing which is new and ready to do now. Glad you found all the information you needed about Gravatar in this post, Gurunath. Glad to have you helped, Shaikh. This is my first time to comment here, but I’ve been following your blog since I discovered it. You’re one of my favorite bloggers because you give great advice and I can tell that you really want to help people. Thanks for posting this. I didn’t realize that using a gravatar is very important. I thought I only need it so I won’t look like someone who wants to spam. welcome to NPI blog and thanks for the kind words. Gravatars are really important. I prefer using Gravatars. Even I recommend people to use them. Found some more key points here.